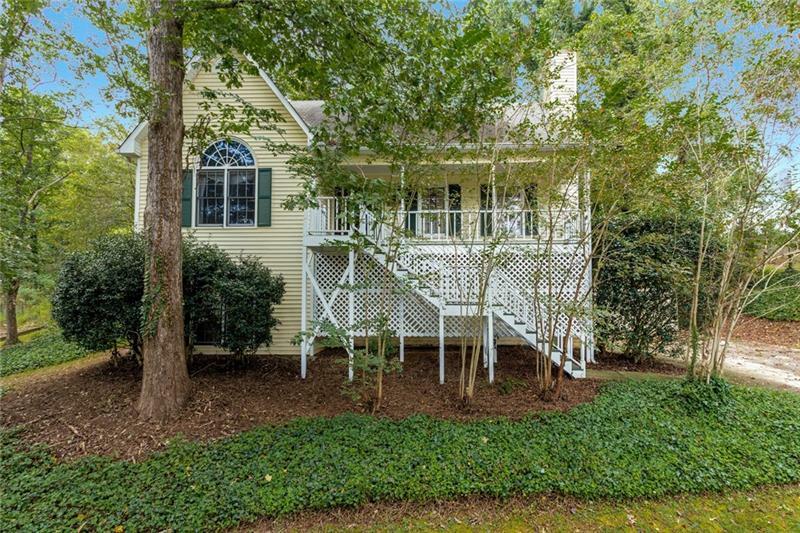 Located just 20 minutes from Roswell & downtown Woodstock, this home is convenient to everything & sits in a swim/tennis community w/winter lake view! Foyer entrance greets in fireside family rm w/built-ins surrounding. Adjacent sunny dining rm conveniently off kitchen w/granite, pantry, SS appliances, overlooking gorgeous keeping rm w/skylights & fireplace. Master on main for privacy w/en suite bath w/garden tub & dbl vanity. 2 beds up share a full bath & 2 walkout floored attics ready for finishing. Partially finished basement perfect for rec/media rm! Home warranty. Listing provided courtesy of Knock Homes, Llc. A representative from Metro Brokers has received your request to visit 1004 Crabtree Close on at .